What do Jewish American teens from San Diego, Israelis from kibbutzim near Gaza and Bedouins from the Negev have in common? Quite a lot, it turns out. Teenagers have many ways to spend their summer these days. They can go to the mall. Or go bowling. Few choose to delve into the complex and often emotional histories of their national groups. But every summer for the past 12 years, the Gary and Jerri-Ann Jacobs International Teen Leadership Institute (JITLI) has been bringing together 11th grade high schoolers from three distinct communities: the Jewish community of San Diego, the Israeli Moshavim and Kibbutzim of Shaar Hanegev Regional Council, near the Gaza Strip; and Bedouin Arab communities in the Beersheba region. Together, the students undergo leadership training and tour Israel for three weeks, staying at each others’ homes. Gary Jacobs, who funds the program in association with the United Jewish Federation of San Diego County, says the initiative came from the former head of Shaar Hanegev Regional Council (and current Kadima MK) Shai Hermesh. In 2000, “with peace around the corner,” Hermesh wanted to create a leadership program which brought together Jewish and Arab youth. But the Second Intifada broke out that year, and the idea of including Gaza students became impossible. Eran Tzidkiyahu, who built the tour program and has been guiding it for the past few years, says that JITLI brings together teenagers who would never normally meet despite living just a short distance from one another. 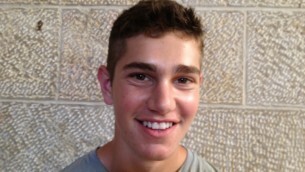 Ethan Laser, 17, applied to the program from San Diego “to see the truth behind the conflict” and find out “whether the Arab motives were religious or political.” He says he has come to believe that religion is simply used as a justification for a conflict which is essentially political. But JITLI does not leave the teens in their comfort zones. The most emotionally-loaded day brings the group – including veiled Bedouin girls and sandaled kibbutzniks – to the Western Wall, the Temple Mount, and the excavations of the City of David. As she walks down a slippery tunnel in the ancient excavations of the city of David, Mara Jacobs, 17, says she believes this is the right age to discuss thorny political issues. 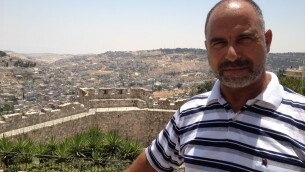 Abdullah Jarjawi, a primary school principal from the Bedouin town of Segev Shalom, has been accompanying the group for the past eight years. He agrees that the high-schoolers – some of whom could be voting next year – are at a perfect age to discuss politics. He notes the dramatic shift the Bedouin participants go through in the short span of three weeks. Jarjawi notes that merely removing the girls from their homes for a number of weeks indicates a dramatic shift within Bedouin society. It also exemplifies the confidence parents have in him personally, as a supervisor. Fairouz Al-Abid of Segev Shalom has also been transformed by JITLI. She has returned to the program for the second year in a row, this time as a counselor. She says the program encourages students to continue their higher education through a grant received in return for community service. Al-Abid says she wants to study pharmacy in Ashkelon, where she also intends to live for the duration of her studies and only return home for vacations. The Jerusalem tour was not devoid of incident. Two Bedouin girls were verbally abused by Jewish worshipers at the Western Wall. But Fairouz Al-Abid says the episode actually brought the Jews and Bedouins in the group closer together. For Osnat Nir of Kibbutz Dorot, “seven kilometers from the Gaza Strip,” JITLI was an opportunity not only to meet new people but also to discover areas of her own country in a new way.